Aston Martin Racing has qualified on pole in both GT classes of the 2015 24 Hours of Le Mans with its #99 and #98 V8 Vantage GTEs. Aston Martin Racing is today unveiling a 24 Hours of Le Mans art car designed by artist Tobias Rehberger. 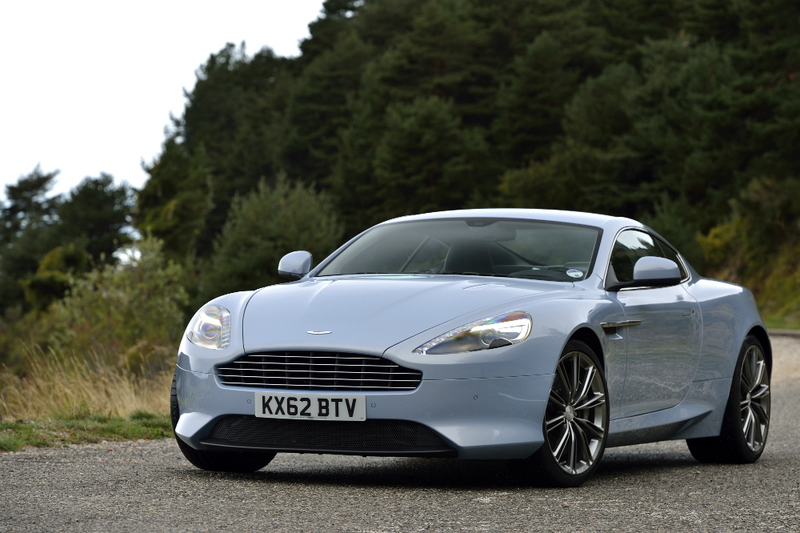 The unique creation gives the Gulf #97 Vantage GTE the illusion of movement and speed, even when static. 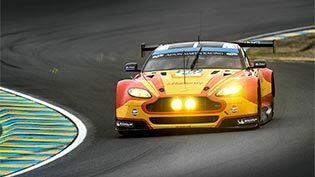 This year’s Michelin Aston Martin Le Mans Festival will provide more than 250,000 motorsport fans with the chance to see first-hand more Aston Martin Racing cars race side-by-side on the Circuit de la Sarthe than ever before. 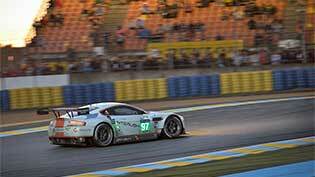 The all-Danish crewed #95 Young Driver AMR V8 Vantage GTE raced to victory in the GTE Am class at the 2014 24 Hours of Le Mans. The Gulf-liveried car finished two laps ahead of its nearest rival in what was the largest class of the famous endurance race with 15 competitive GT cars. With just four hours of the 24 Hours of Le Mans remaining, Aston Martin Racing is leading the GTE Am class with the #95 Young Driver V8 Vantage GTE and the #97 is in fourth place in the GTE Pro class. After 16 hours of wheel-to-wheel racing in the 2014 24 Hours of Le Mans, the #97 Aston Martin Racing V8 Vantage GTE is in second place in the GTE Pro class and the #95 Vantage GTE is leading the GTE Am class. 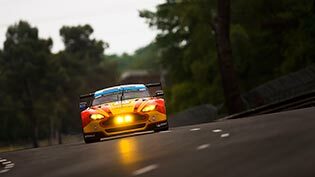 Aston Martin Racing is leading both of the GTE classes at the world-famous 24 Hours of Le Mans at the halfway mark after completing 161 laps of trouble-free racing with its #97 and #95 V8 Vantage GTEs. Aston Martin Racing is leading both GTE classes in the 24 Hours of Le Mans at the eight-hour mark - the #97 Vantage is out in front the GTE Pro class with the #98 GTE Am leading its class and the #95 Vantage following in second place. After four hours of racing in dramatically changing weather conditions, Aston Martin Racing is leading the GTE Am class in the 24 Hours of Le Mans with its #98 V8 Vantage GTE.